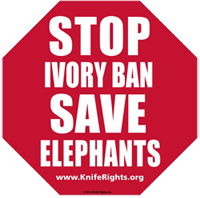 Knife Rights, Inc. and Knife Rights Foundation, Inc. (together “Knife Rights”) respectfully offer the following comments in opposition to the proposed rulemaking revising the rule for the African elephant promulgated under § 4(d) of the Endangered Species Act of 1973 (“ESA”) (50 C.F.R. 17.40(e)) by the United States Fish and Wildlife Service (“the Agency”). Docket No. FWS-HQ-IA-2013-0091; 96300-1671-0000-R4 (80 Fed. Reg. 45154, July 29, 2015). 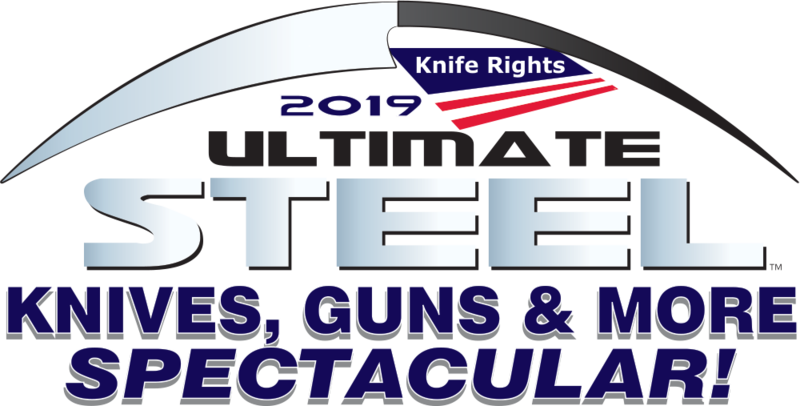 Knife Rights represents America’s millions of knife owners, knife collectors, knifemakers, knife artisans (including scrimshaw artists and engravers) and suppliers to knifemakers and knife artisans. As written, the proposed rule will expose many individuals and businesses to criminal liability for activities that are integral to the legitimate ownership, investment, collection, repair, manufacture, crafting and production of knives. Even where such activities may not be directly regulated by the proposed rule, its terms are so vague and confusing that it would undoubtedly lead to excessive self-regulation and chill harmless and lawful conduct. For the foregoing reasons, the Agency must withdraw or significantly amend its proposed revisions to the rule for the African Elephant under section 4(d) of the ESA. However, considering the extraordinary and unprecedented magnitude of the violations listed above, any effective curative revisions would be so extensive that they are difficult to envision without withdrawing and restarting the rulemaking process. Even then, it is hard to envision any proposed rule that can withstand legal review since the raison d’être for the proposed rule is fundamentally flawed. As it stands, the proposed rule change violates the APA, DQA/IQA, SBREFA, RFA and ESA by misrepresenting expert findings and by failing to present a factual basis to support their conclusions and neglecting to adequately consider cost and economic impact. The proposed rule change also violates Executive Orders 12866 and 13563, failing to promote predictability, to reduce uncertainty, and to use the best, most innovative, and least burdensome tools for achieving regulatory ends. Finally, the proposed rule also imposes unconstitutional Fifth Amendment takings without compensation. Knife Rights abhors the poaching of all species. The proven solution is to attack poaching at the source and in the primary destinations for the illegal ivory, not punish lawful ivory owners in the U.S. who cannot have any effect on poaching in Africa. Successful anti-poaching programs in Africa have demonstrated that an integrated comprehensive approach that support law-enforcement in the field and encourages the locals to fight poaching does work to save elephants. Stealing the investments of millions of Americans will not save a single elephant in Africa. The failure of the Agency in its proposed rule to abide by longstanding laws specifically enacted to prevent administrative bodies from abusing their power to the detriment of ordinary citizens makes these violations particularly egregious and abhorrent. This proposed rule is promulgated contrary to law and to American values of fairness and justice. The submission of comments only marks another milestone in our opposition to this draconian and ill-advised rule that only serves to steal from honest Americans and which won’t save a single elephant in Africa. The most important thing you can do right now is to contact your U.S. Representative and Senators to ask them to co-sponsor the African Elephant Conservation and Legal Ivory Possession Act of 2015 which would protect honest U.S. ivory owners while providing for additional conservation and anti-poaching efforts in Africa. Click for more information. Stealing the investments of millions of Americans will not save a single elephant in Africa. This is the worst kind of "Feel Good – Do Bad" government action. * FWS’s claim that less than 2% of ivory sales will be impacted by this ban is nonsense. (Here you should describe how the ban would impact your business or collection individually, where applicable.) Conclude by stating that this ban falls almost entirely on small businesses, so the FWS certification in the proposed rule that it would not have a significant economic effect on a substantial number of small entities as defined under the Regulatory Flexibility Act is false. As is their finding under the Small Business Regulatory Enforcement Fairness Act that there is not a disproportionate impact for small or large businesses.